Cloud-based Office 365 functionality can replace your PBX or hosted VoIP solution. Utilising Office 365 for telecoms offers excellent value, especially if you are already subscribing to Microsoft’s cloud productivity suite. HTL can help you set up your Office 365 tenant to fully support your company’s telephony needs, from PBX functionality through to international call plans. We will also support your existing on-premise Skype for Business solution. Microsoft moved quickly on the voice front. The popular Microsoft Lync was modelled into Skype for Business not that long ago, with both cloud and on-premise editions. Skype for Business is still available but Microsoft is now switching cloud users away from Skype for Business towards Microsoft Teams. PBX functionality is provided via Phone System for Office 365. Teams and Phone System powerfully integrate with Office 365 and Phone System can replace PBX functionality such as direct dial, voice mail, and conference calls. In effect, Microsoft and Office 365 can act as a one-stop cloud solution for all your productivity and telecoms requirements. Relatively new to Office 365, Teams is intended as a direct competitor to Slack. Teams enable group messaging and remote collaboration. Teams provides easy access to intra-organisational voice and video functionality too. Note that Teams on its own does not enable PBX features such as a phone a number. Still available to Office 365 tenants and on-premise, Skype for Business provides the instant messaging, voice and video functionality businesses love. Skype for Business will continue to enjoy support on-premise for some time, but cloud tenants will be transitioned to Teams in the near future. Microsoft offers plenty of options for voice calls, but Phone System is the only way to turn Office 365 into a PBX with direct dial numbers, voicemail, and all the expected telephony features. Just like any other hosted VoIP provider, Phone System includes call plans for affordable international calls. Microsoft’s voice, PBX and unified communication offering is an established tool, but at the same time a work in progress. HTL can help your business cut to the chase, utilising Office 365 as a business hosted VoIP system. Consolidate your voice requirements inside Office 365 and enjoy both cost benefits and technical advantages over simpler VoIP systems, including pervasive presence features and broad directory integration. Are you currently operating Skype for Business on-premise? We know that Skype for Business, formerly Lync, is still one of the more popular business telecoms systems in London. Many businesses like that on-premise communications leave you in full control of your telephony requirements. HTL can ensure ongoing maintenance of your Skype for Business solution, including end-to-end management of Skype for Business Server 2015. We also stand at the ready to ensure a smooth upgrade to the upcoming Skype for Business Server 2019 edition. Despite the benefits of on-premise or hosted VoIP London businesses are yet to universally switch away from traditional PBX systems. 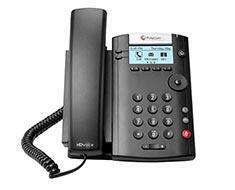 However, we know that VoIP solutions provide the best business telecoms systems in London. Talk to HTL to discuss your VoIP options, whether you prefer an on-premise solution or business hosted VoIP in the shape of a dedicated telephony provider or indeed Office 365 telephony. HTL can outline the pros and cons of each option and find the best fit for your business.